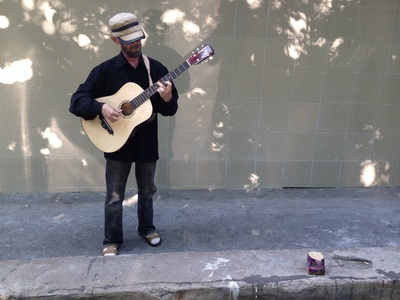 I hesitated including street musicians in this project, because it seemed a bit demeaning to group flesh-and-blood humans in with cement walls and trash cans. 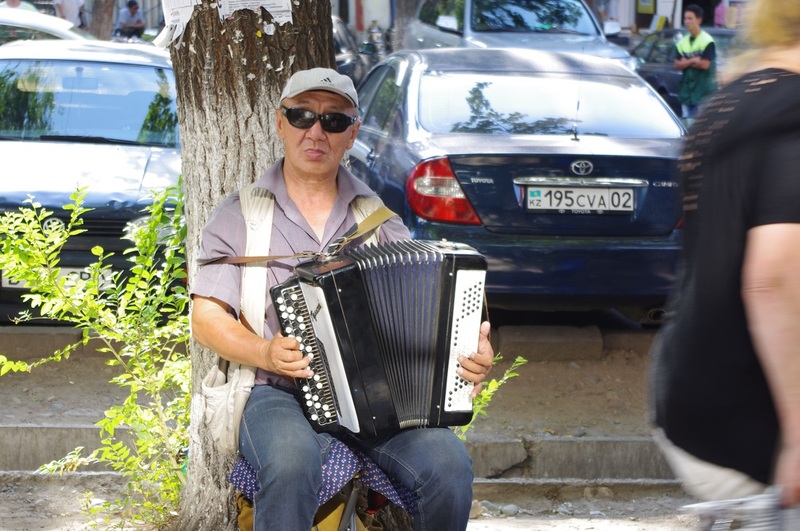 But they themselves take pride in being part of the streetscape, and along with fruit vendors and beggars they are true constants of public space; we pedestrians may ebb and flow but these music makers are real fixtures. 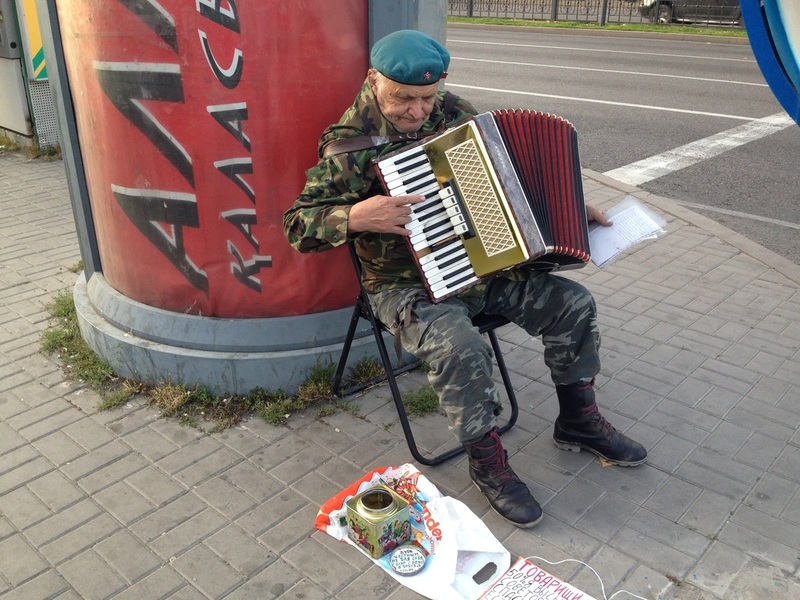 At the very least I can promote them and give their talents the spotlight they deserve. 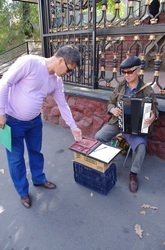 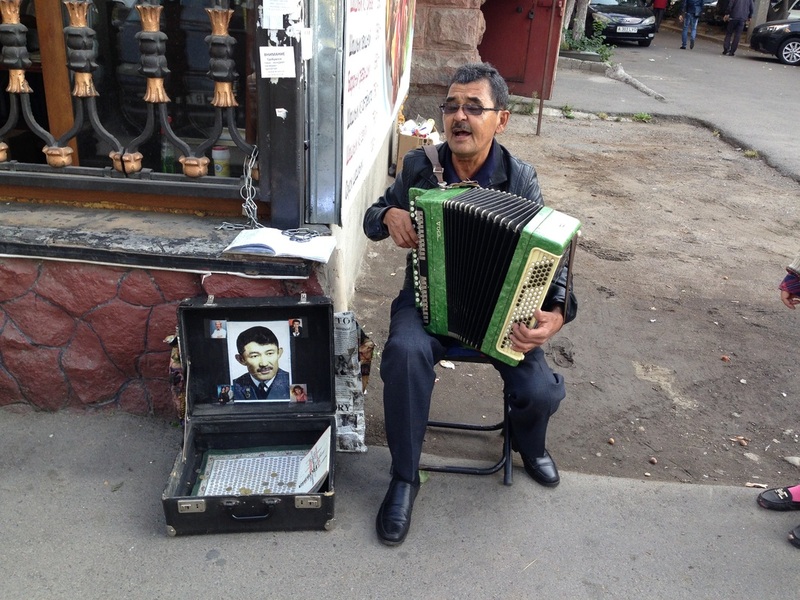 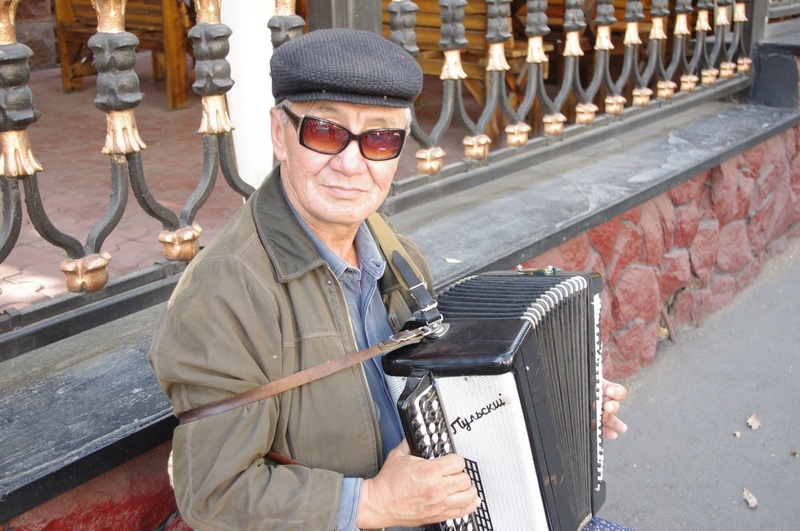 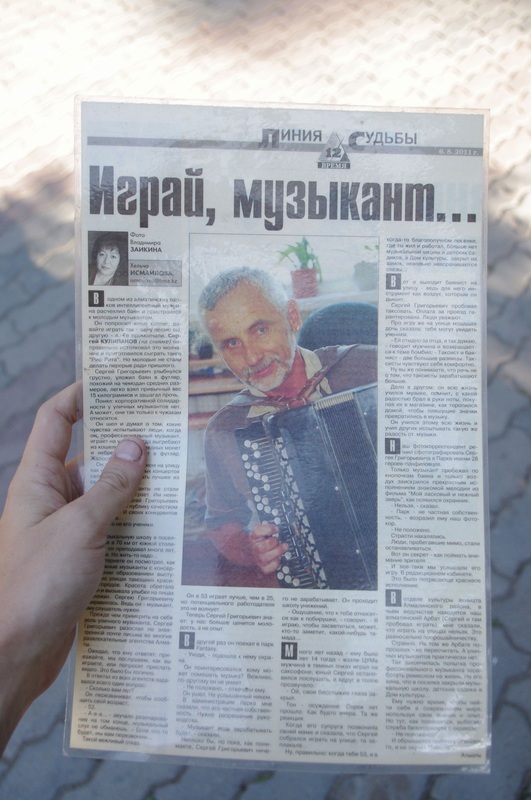 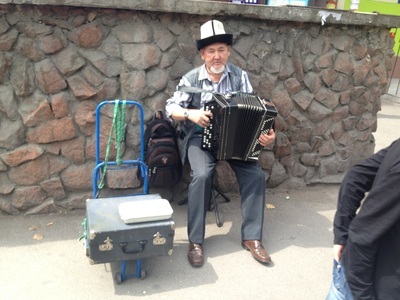 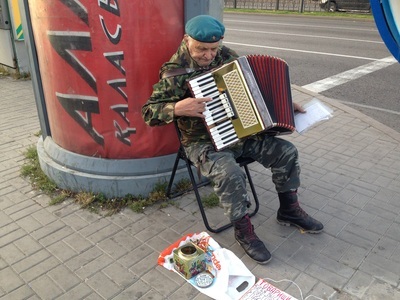 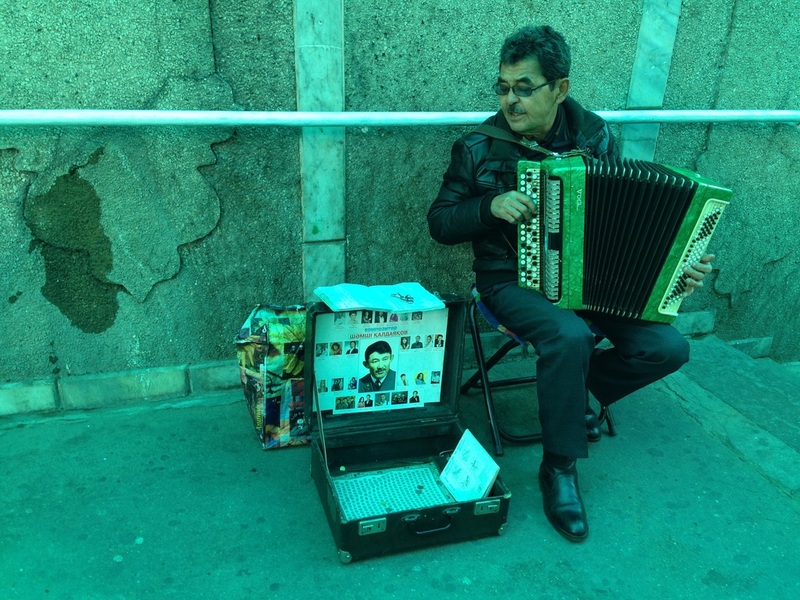 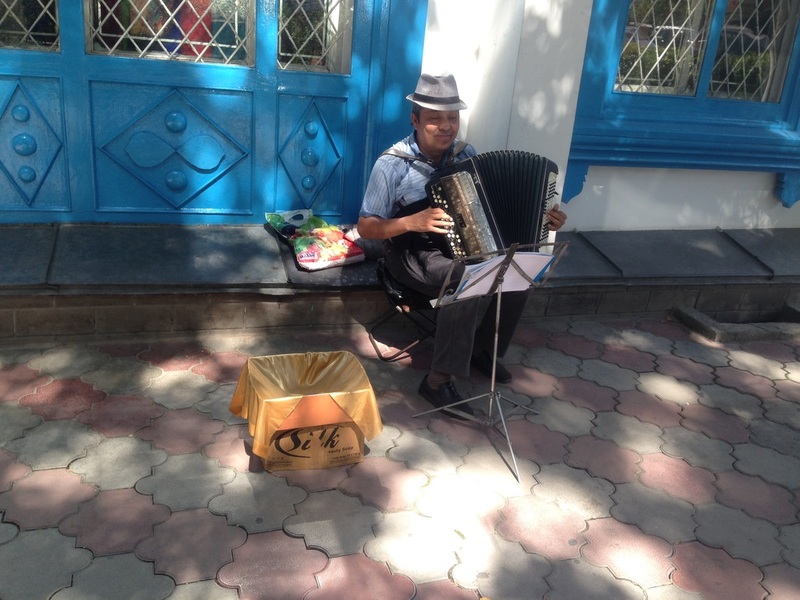 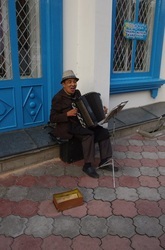 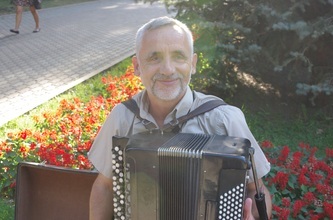 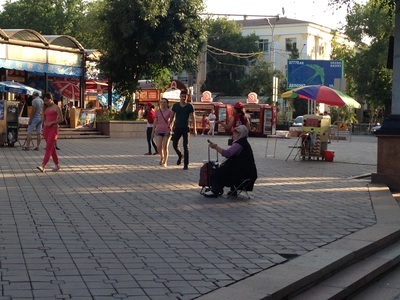 There are three main spots in Almaty where people like to post up to play the bayan [баян], or Russian accordion: the pedestrian tunnel on Abaya/Lenina, Panfilov Park, and Zelyony Bazaar. 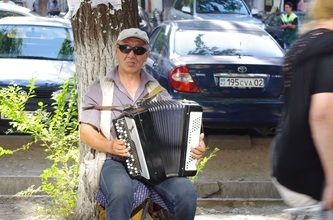 The guy in the park is seriously consistent, almost always sitting near the WWII monument, playing Beatles songs whenever he spies a foreigner go by. 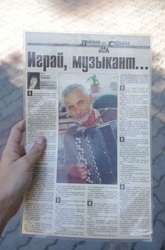 He told me he also plays at weddings, and showed me a full-color article about him in the local paper. 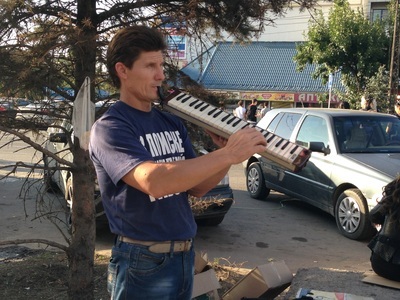 It goes without saying that these guys aren't desperate hucksters but serious musicians with a stunningly huge repertoire and a talent for crowd-pleasing. 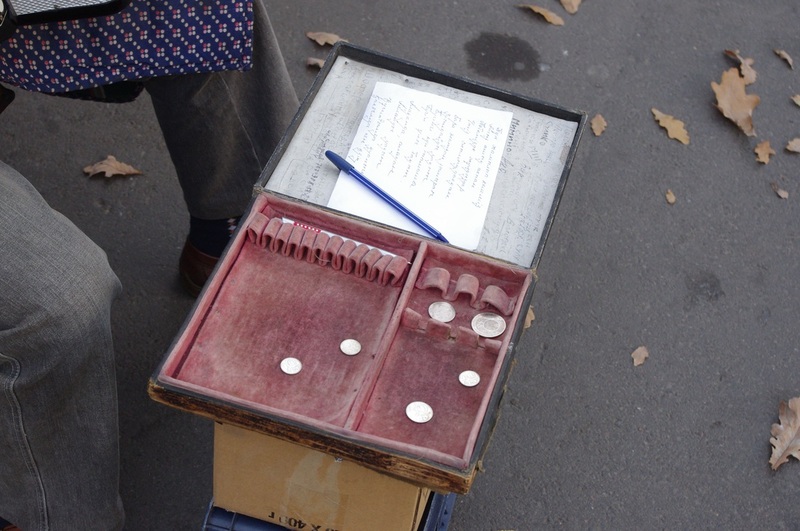 If you see them, get those coins out. They're annoying, anyways, and these bayanists have earned it. 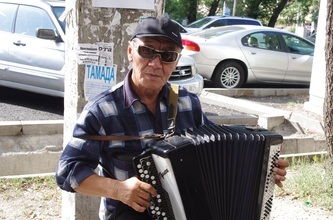 Another type of street musician, I should mention, is the common teenage busker, usually drunk or at least accompanied by an intimidating partner who thrusts a hat in your face for tax collection; they are not nearly as endearing or reliable as our middle-aged accordion.masters. 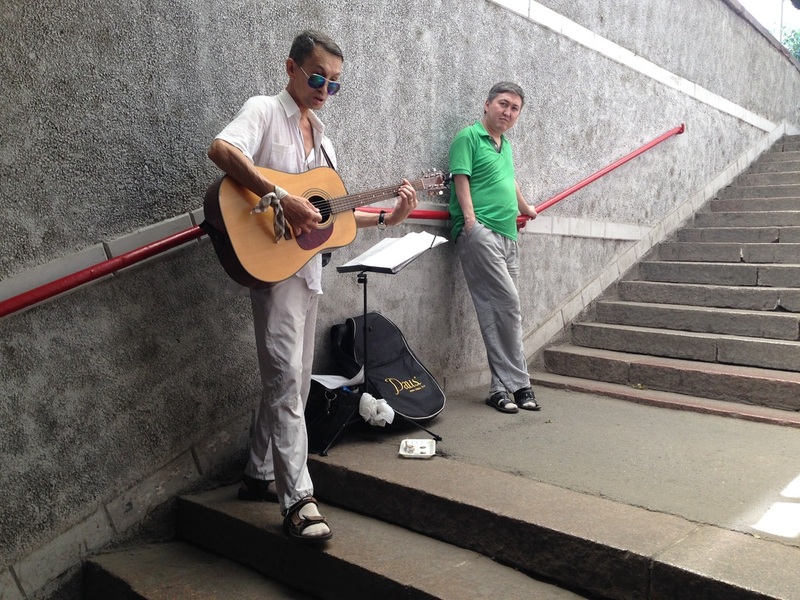 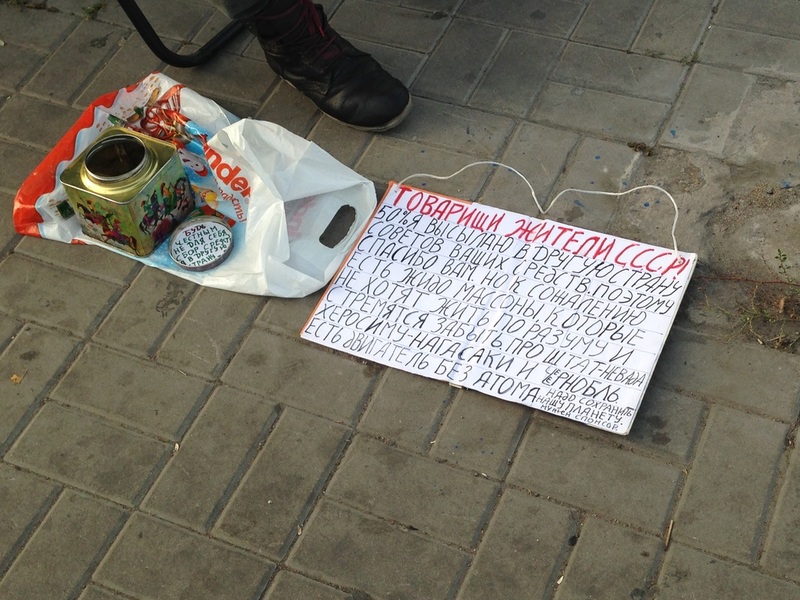 They love to play Viktor Tsoi songs, though, which gets them a pass from me. Better save your coins for the key and button mashers though. Those guys are the real rock stars.